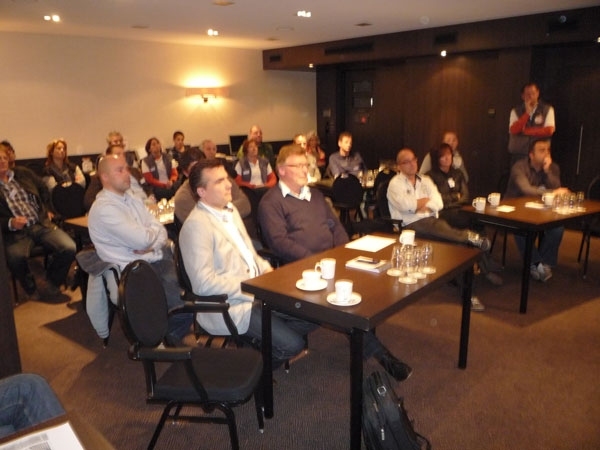 The annual AHT dealer day for the Netherlands was held with great success on Monday 15th of November in Hotel Houten in the City of Utrecht. The event was organized very professionally by Heating Solutions International BV under the supervision of Mr Rene Smits and his team, who worked tirelessly to achieve the maximum benefits for all the participants. The AHT dealers showed great interest and participated very enthusiastically both in the presentations sections as well as the working groups which they later formed. With the current national network totaling about 50 dealers, it was also important for them to get to know each other. Furthermore everyone had a chance to ask any questions and receive on-the-spot answers, as well as make their own suggestions and recommendations. In the social gathering afterwards, everyone expressed their satisfaction with the Dealer-day’s results and Mr Rene Smits responded by thanking them for their positive attitude and promised that next year’s event will be even better!